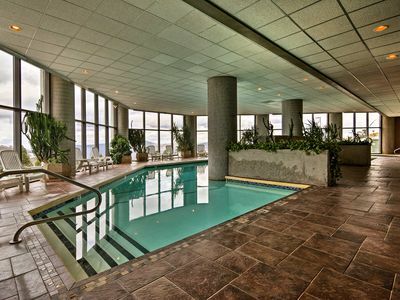 Do you need a peaceful escape from goin’ all the time? 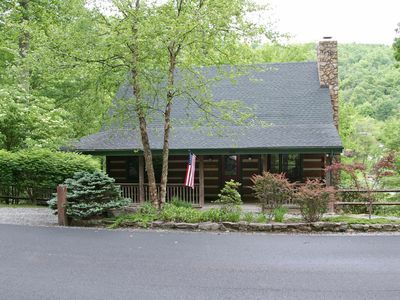 Come to Elk Creek, and find respite in this tranquil setting in the midst of the surrounding forest. 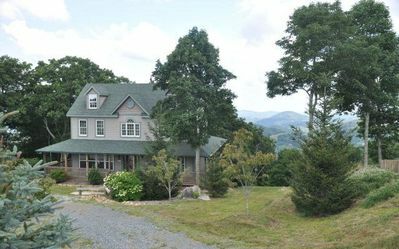 Perched on top of a hill and surrounded by spectacular mountain views, this picturesque residence is the ideal mountain retreat for families or a group of couples traveling together. 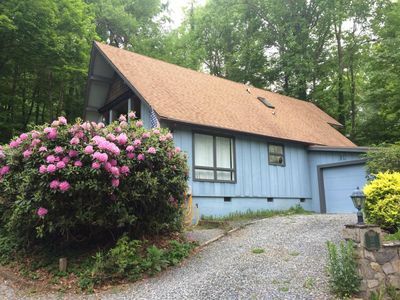 This 2,350 square foot home offers 3 comfortable bedrooms and 3 bathrooms with a King size bed in the Master and a Queen size bed in both additional bedrooms. 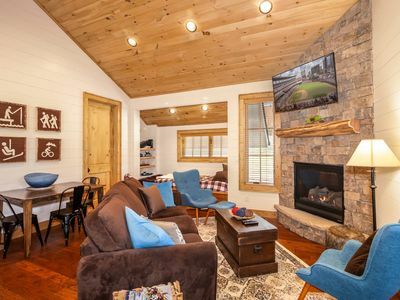 The master bedroom boasts a grand bathroom suite with dual sinks and open shower, an oversized walk-in closet, and a private deck with rocking chairs where you can enjoy a morning cup of coffee or a glass of wine in the evening. 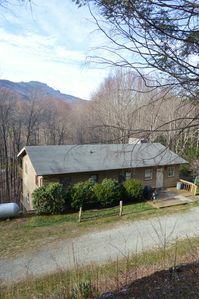 Guest Bedroom #1 has a private bathroom, and Guest Bedroom #2 has access to a bathroom that can also be accessed from the hallway. 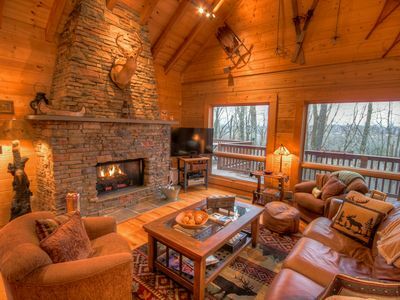 From the moment you open the front door, you will be wow’ed by a fascinating view of Beech Mountain from all of the main living areas. 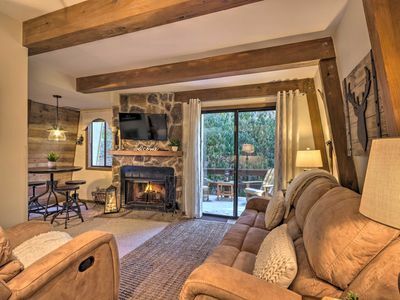 You will feel right at home in the living room with large, comfortable seating, a 55” Flat Screen TV, and a basket of cozy throw blankets for chilly evenings in front of the stone gas fireplace. A selection of books and board games can be found on the shelves for enjoying some solo or group down time at home. Prepare your homecooked favorites in the spacious and open fully equipped kitchen before gathering in the dining room where every meal feels like a special occasion with a magnificent view. 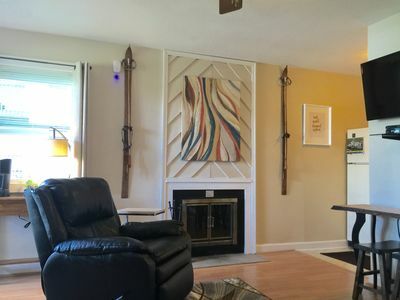 Additional upstairs space provides a comfortable sleep for as many as three kids. 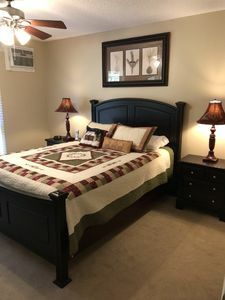 There is one small private room to the right just up the stairs that sleeps one with additional sleeping space for two in the trundle bed that is located to the left when you head up the stairs. 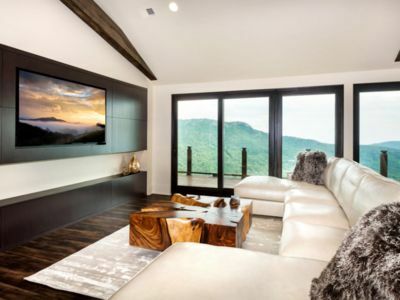 The kids can stay entertained with Netflix on the Smart TV or log into their own private accounts to play games on the XBox One. 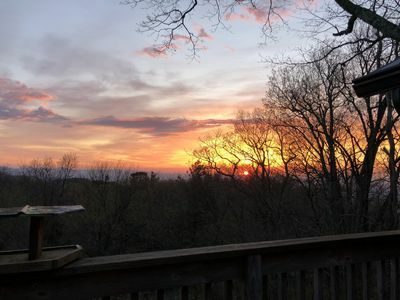 The main deck displays a spectacular view of Beech Mountain at all times of day with frequent visits from tiny hummingbirds who feast on the hanging flowers and bird feeders. 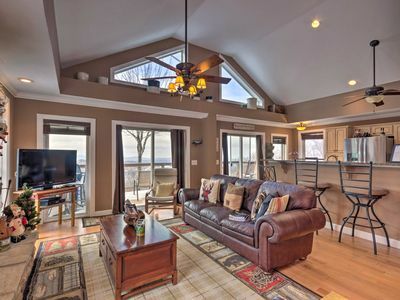 It is the perfect spot for enjoying a meal with family, having evening cocktails, or reading a book. 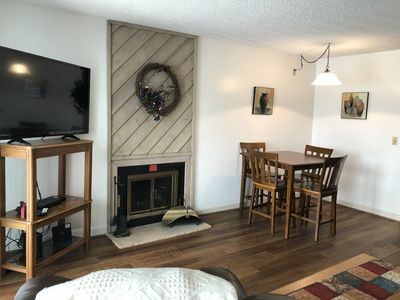 Other amenities provided for your comfort include air conditioning, wireless internet access, and washer and dryer for your laundry needs. 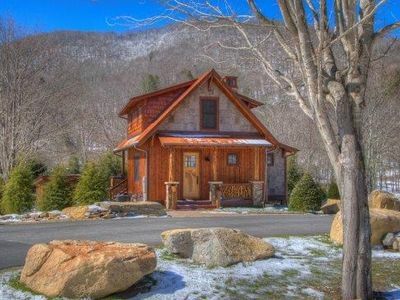 Special moments in the mountains at the TLC! 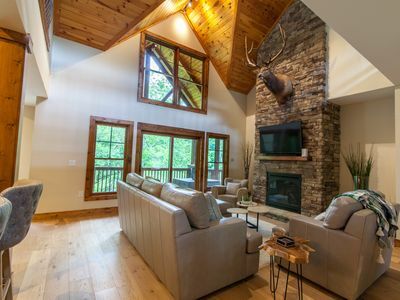 Relax and unwind, breathe in the clean mountain air! 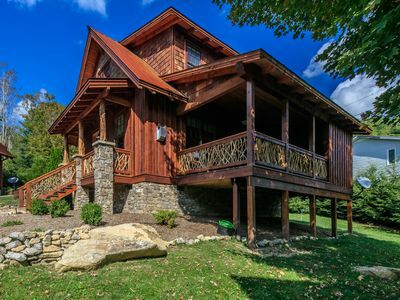 4BR Upscale Log Cabin Valle Crucis! 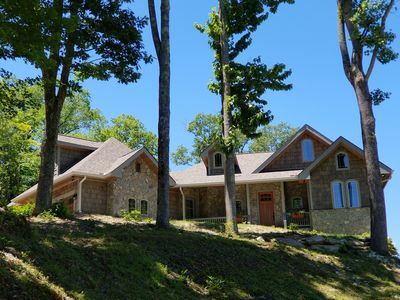 4BR/3.5BA Log Cabin with Hot Tub, Fire Pit, Game Tables, Flat Panel TVs, Views, Privacy & Seclusion! 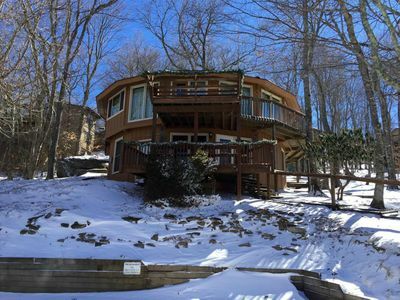 3BD Upscale Mountain Contemporary Condo with King Suite, 2mi from downtown Banner Elk, Close to Skiing! 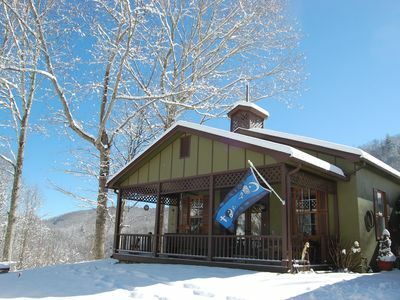 Cozy Upscale Cottage, Views, King Master Suite, Grill, River Access, Near Beech Mtn. Resort!